It began on Friday with a simple tweet. Somebody had found something on Io. A powerful enemy. A mysterious portal. A 20 minute timer. It didn’t take long for the community to come together to solve the puzzle. The hunt for secrets was on in Destiny 2’s secret quest, called The Whisper. When conquered, the tough mission rewarded players with Whisper of the Worm, an Exotic sniper rifle that rivals many of even the best original exotic weapons in Destiny 1. Come Monday morning, the anomaly on Io had disappeared, leaving this powerful gun as a mere whisper among players that were able to overcome the challenge (it will be returning in the near future). This weekend was about far more than an exotic weapon, however. It was a reminder of why players fell in love with Destiny in the first place. There have been a few moments in Destiny’s history that will always be iconic for players, spurring discussion around things like “where were you when Xur sold Gjallarhorn?” Unlike a normal single-player game, Destiny is about the moments players experience in real time. The state of the world is always changing, and logging in to play can present a wildly different experience at regular intervals. The launch of Whisper of the Worm has easily embedded itself in the history of notable Destiny moments. Players will always remember where they were this weekend, and whether they managed to get the sniper immediately, or if they had to wait for the event to come up again. This is far from the “everybody wins” mentality that Bungie has maintained for much of Destiny 2. There’s a challenge here, and players need to be active and skilled to complete it. Any member of the Destiny subreddit, r/DestinyTheGame, knows the feeling of refreshing and searching through posts daily, hoping for new mysteries and things to come up. Even on long hiatuses away from actually playing the game, they’ll stay active on the subreddit, waiting for the trigger that will send them back into the arms of the Traveler. For many, Friday’s discovery on Io was that trigger. I saw activity in my clan and on my friends list skyrocket. Being a high-level endgame quest, people were disappointed that they hadn’t been actively leveling up before now to more easily tackle the Whisper challenge. They’d heard about the Taken portal on Io though, and just had to see it for themselves. I didn’t have a fireteam to attempt the mission right away, but I wasn’t about to miss this. I knew I had no chance of taking it on by myself, but I entered the portal twice, marveling at the amazing area that lay just beneath our feet on Io. It reminded me of classic Destiny (more on that later), and though I didn’t complete it myself, I learned how to spawn it and how to complete the early platforming sections of the encounter. When I finally got a team together, I was able to guide them through. The subreddit exploded with post after post of strategies and new secrets that were found within. What puzzles did The Whisper bear? Secret pathways, shortcuts, hidden chests, another exotic item, and the lore behind why this was all happening became the subject for discussion. Community leaders began performing impressive challenges, like soloing the mission or speed-running through it. A Heroic version became available that allowed players to get the Masterwork catalyst for the Whisper of the Worm. The Whisper was and is the gift that keeps on giving. The community is really excited about Destiny 2 again, and not just because of future content. They are talking about and engaging with the game in ways that they haven’t in a long time. While it’s fun to randomly get an Exotic engram with some random piece of gear, there’s something even more satisfying about knowing how and where you earned it. Bungie balanced much of this in Destiny 1 by hiding Exotic and powerful gear behind tough challenges. You weren’t likely to get one out in the wild, but complete the Raid or a challenging Nightfall Strike? You might see an Exotic drop. Destiny 2 opened the floodgates and made Exotics much easier to get. Xur even sells a weekly engram that will guarantee an Exotic you don’t have yet. Players will even half an interest had their hands on every Exotic a long time ago. Until Friday. On Friday, a new Exotic could be earned for the first time, and instead of being some random drop from a public event chest or other low-level task, it was locked away behind a really tough secret mission. When I finally got mine, I was proud that I had earned it. I wanted to use the gun immediately. Many other items in Destiny 2 don’t feel anywhere near that special because they did little more than hatch from a golden data egg. I earned Whisper through overcoming one of Destiny 2’s greatest challenges with some of my oldest Destiny friends. We’d planned on Raiding this last weekend, but Xol had other plans for us. Sadly, we missed our opportunity to obtain the new Exotic. The Whisper had been bugged out for a large portion of time on Sunday, so we we simply ran a bunch of Warmind’s Escalation Protocol instead. 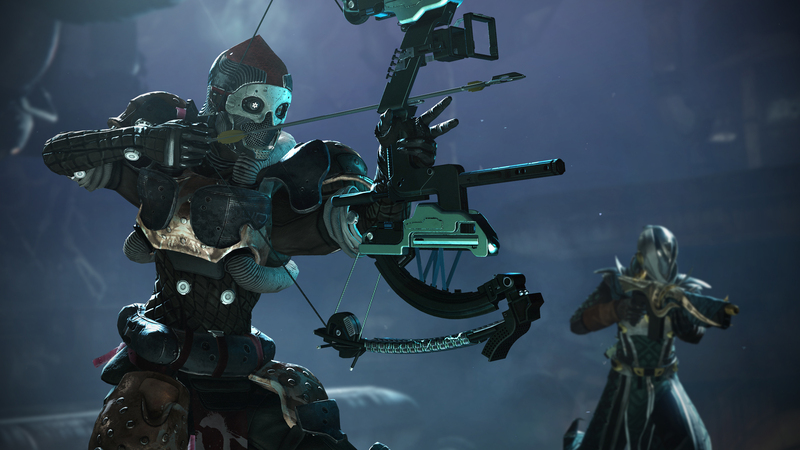 Finally, late Sunday night, we got word that the Taken anomaly was active again. Three of us broke off from the group and headed to Io to seek the hidden quest. We didn’t expect to beat it the first time. Hell, we weren’t even sure we’d finish it this weekend, but we knew we had to at least make our attempt at it. Attempt we did. On our first run, I started performing terribly during the jumping puzzles. While I was a ways behind my fireteam, I was able to make callouts based on my previous knowledge of the area. Jump here. Crouch there. Run around this area. Before long, they were already taking on enemies. Eventually I caught up, but we were against a clock that was far too powerful for us. In the final boss room, we killed one of the three bosses but ran out of time before the other two were close. Not bad for a first run through. We determined to try it again. Our jumping puzzle performance was even better than the first time. We breezed through the early portion (using skills gained from Destiny 1 Raids) and made it to the rooms full of enemies. With more than 10 minutes left for the three bosses, we were certain we had this one handled. In classic Destiny fashion, a bizarre glitch robbed us of that opportunity. One of our fireteam members was respawned at the start of the entire mission, meaning we lost his damage output for the final three minutes of the fight. We barely lost. Victory was so close. It was almost two in the morning for me, and even later for my friends in a different timezone, but we decided to give it another shot. Our tiredness was obviously slowing us down. We knew that the Whisper quest would be gone in the morning, but we performed worse than our first two attempts, reaching the boss room with just under eight minutes to fight them. We weren’t convinced, but gave it everything we had. At the final minute, we still had two bosses standing, each with more than a third of their health bar. At thirty seconds, I decided it was all or nothing. I popped my Super and charged into the fray. I was going to beat this or die trying to beat it. The clock was at about 12 seconds remaining when the final boss died and we all got our Whisper of the Worm snipers. That kind of sheer combat excitement with a clutch victory is a feeling I haven’t felt in a long time in Destiny. The Whisper is about far more than just getting an Exotic sniper. It set up the future of Destiny 2’s world. It reintroduced players to Xol, the worm god who was the final boss in Warmind. We didn’t actually kill a worm god with a gun and technological toothpick. In fact, Xol’s death may have been part of his scheme all along. We may have just fed his power more by granting him death in battle. With this truth, it completely changes the way we see the Warmind story. The gun itself may be Xol’s very essence, and us using the gun could potentially be feeding him power, tying back into the Hive’s Sword Logic and the Books of Sorrow from Destiny 1. Yes, it all goes that deep. 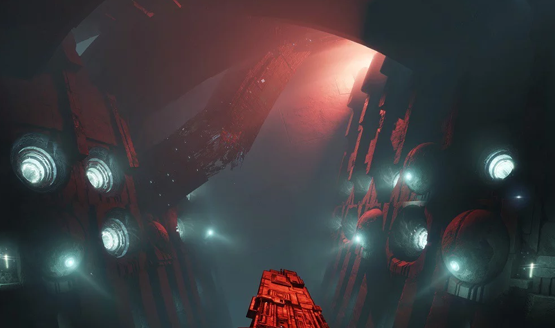 Additional secrets were discovered by players including a portal that looks directly into the Vault of Glass, Destiny’s first Raid. For years, rumors persisted of a seventh hidden chest in the Vault of Glass, and through some clever puzzle solving, players may have found it hidden right here in The Whisper, just on the other side of this portal. It rewards a ship schematic that will take at least two more weeks to complete, so even that’s a secret that’s not full revealed yet. The Whisper is the gift that keeps on giving. Through it all, the community continues to help one another, posting their finds, their tips, tricks, and how-to guides, and generally having everything from deep and insightful conversations to joking discussion about the topic. Seriously, The Whisper is just about all anyone in the Destiny community has been talking about for the last five days. There have been a lot of criticisms levied at Destiny 2, but Bungie has also done an amazing job at speaking to that feedback and making this a game for the fans. Multiple updates have been changing the game for the better as it lives, grows, and evolves. I’ve often been excited for announcements of a new Destiny 2 update or upcoming content, but it wasn’t until The Whisper that I really remembered the reasons I fell in love with the original Destiny back in 2014 and the three years that followed. Through the ups and downs, conversation has always pervaded every part of Destiny. It’s fans want nothing but the best from a game that they love. They jump at the chance to discover new secrets and engage with challenges, earning rewards that show off their prowess for the game. The Whisper brought that level of excitement back. People are excited about the challenges, playing together with friends, the rewards that are granted, and everyone is discussing their own theories for how it fits into the wider scope of the story that has been told and is yet to come. Sure, the Whisper of the Worm will be available in the future, but being a part of this flashpoint moment as players discovered it was something special. Living games are engaging because of their real-time changes. The Destiny experience changes enormously if you’re one to pick it up in September with Forsaken, versus having taken this journey up until now. It’s not about content. It’s about culture and how that culture evolves in real time. The Whisper reminded me of what Destiny 2’s culture can be–exciting, passionate, mysterious, challenging, and powerful–showing me exactly why I became a Guardian in the first place.